The bloody civil rights struggle of a half-century ago sometimes seems like ancient history, its successes eclipsed by our country’s ongoing racial injustice and violence. But it did make a difference. Clennon L. King, an award-winning, Emmy-nominated filmmaker and journalist, takes a look back at this period in his documentary “Passage at St. Augustine,” which focuses on the yearlong campaign against Jim Crow laws in the title Florida city. The movement helped bring about the passage of the Civil Rights Act of 1964. 6:15 p.m. in the Tower Auditorium, 621 Huntington Ave. 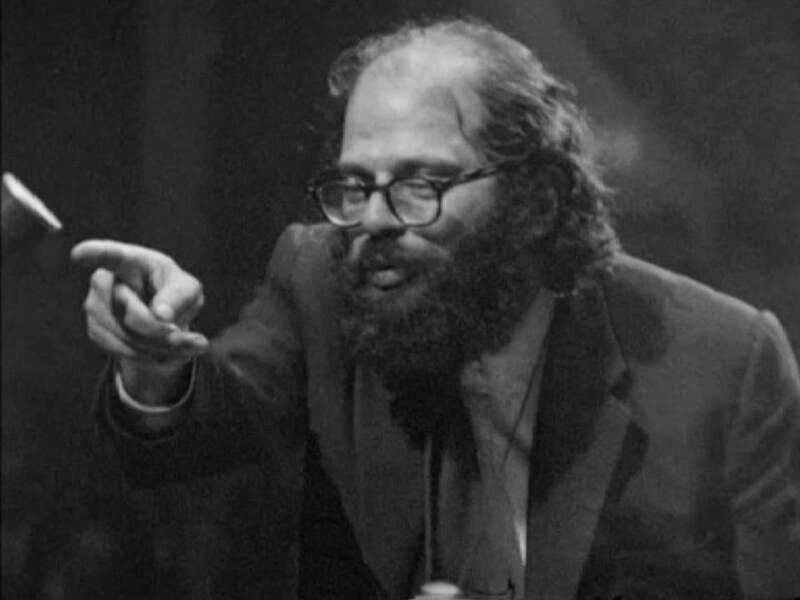 The year after the passage of the 1964 Civil Rights Act, Allen Ginsberg, William Burroughs, and many other noted American writers and poets traveled to London, in effect initiating a counter-cultural exchange of Beats for Beatles. They gathered in Albert Hall for “The International Poetry Incarnation,” regarded as Britain’s official first “happening” and the harbinger of the “Swinging Sixties.” So dumb and yet so wonderful. As part of the Emerson Bright Lights film series, “Wholly Communion” screens free at 7 p.m. Tuesday in the Bright Family Screening Room in the Paramount Center, 559 Washington St. A poetry reading by Emerson alumnus Janaka Stucky follows. The Boston branch of City Year, a national organization helping at-risk high school kids, will premiere the documentary “Fly by Light” on Monday at 6 p.m. It follows four young people as they leave behind their urban surroundings to spend an eight-day peace pilgrimage roughing it in the mountains of West Virginia. A Q&A with the filmmaker Hawah Kasat will follow, and will include Press Pass TV’s co-director Cara Lisa Berg Power and Rose Pavlov, founder and president/CEO of Ivy Child International. The free event takes place at City Year Boston, 287 Columbus Ave.
At the center of the United States, in a trailer park just outside Branson, Mo., you’ll find Ron “Stray Dog” Hall. A bearded biker and tattooed Vietnam vet, he wears an intimidating leather vest, packs heat, and rides a Harley. He looks like the character he played in Debra Granik’s 2010 Oscar-nominated feature “Winter’s Bone” — the patriarch of an Ozark clan of criminals and drug dealers. Fascinated by Hall, Granik spent three years filming his life with a camera and in her documentary “Stray Dog.” He turns out to be a really nice guy and it’s a pretty great movie. If you missed its recent run at the Brattle Theatre, you can watch it on Monday at 10 p.m. on PBS. And maybe you’ll see “Stray Dog,” the man and the movie, at this year’s Academy Awards. Veterans Day, celebrated on Wednesday, tends to get lost in the holiday shuffle. Those who watch “Iwo Jima: From Combat to Comrades” on Tuesday (8 p.m. on PBS) might be more appreciative. It is a stirring, heart-rending documentary about the horrors of the five-month, 1945 battle for the tiny Pacific island. The combined cost for invaders and defenders: 28,000 dead. It is also a film about peace and reconciliation as four survivors — one Japanese and three American — return to Iwo Jima for the battle’s 70th anniversary. The show’s host, Ryan Phillippe, has a special connection to the story — in Clint Eastwood’s “Flags of Our Fathers” (2006), he portrays one of the Marines who raised the flag over the island, memorialized in an iconic photograph. The people who made the intense and tragic “Amy,” about singer Amy Winehouse who died in 2011 at the age of 27, will turn their attention to the seminal ’90s band Oasis for their next project. As reported in last Sunday’s Screen Daily, “Amy” director Asif Kapadia and producer James Gay-Rees have brought in Mat Whitecross (2006’s “The Road to Guantanamo”) to helm the story of the Manchester group whose music inspired a generation of followers and whose founding siblings, Liam and Noel Gallagher, kept the tabloids busy with their feuding and shenanigans.